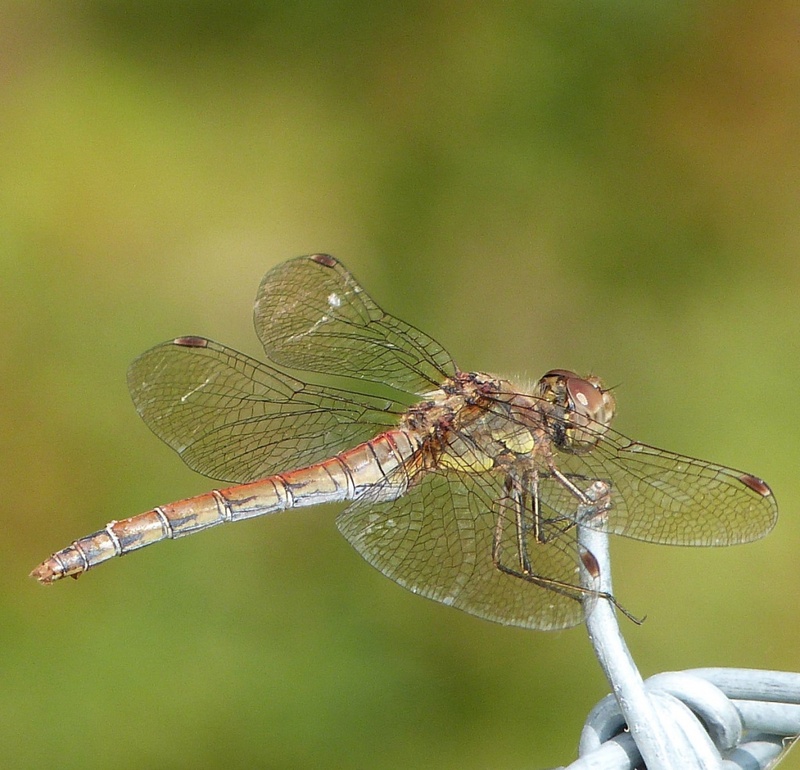 This is one of the smaller dragonflies. 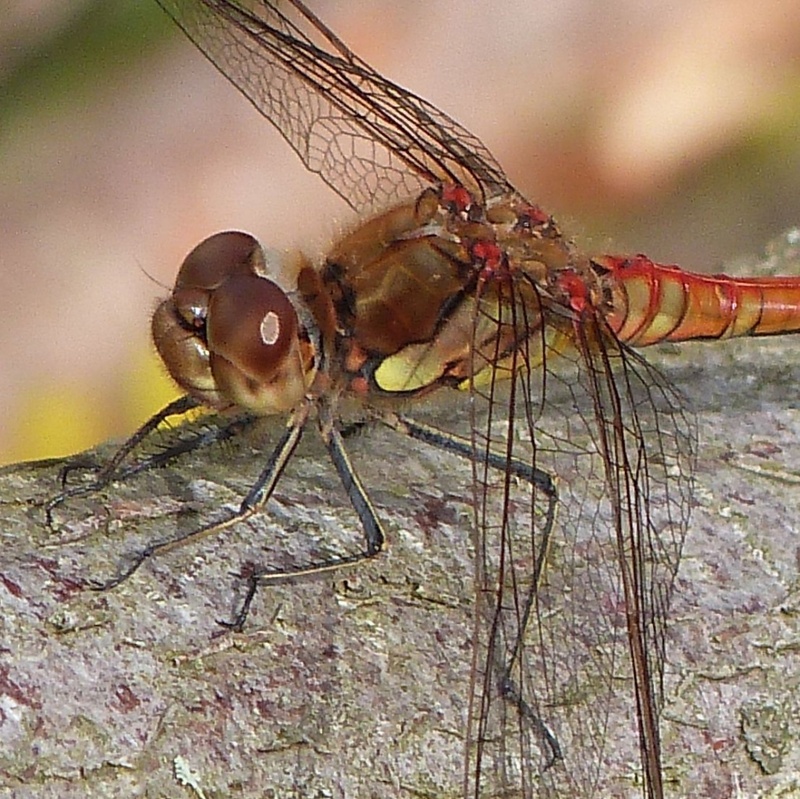 The male is orange-red but becoming brown with age. 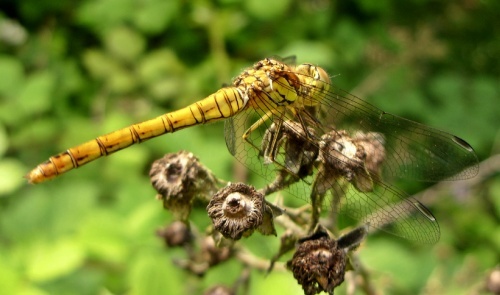 Females (and juvenile males) are yellowish to light brown. The immature male however has pinky red patches on the thorax and abdomen. 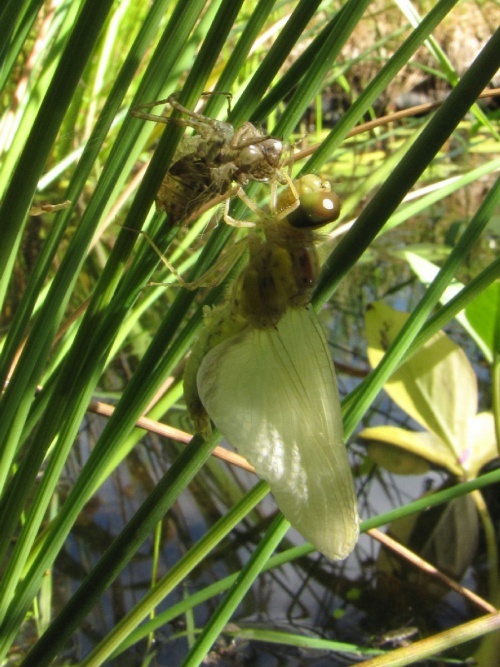 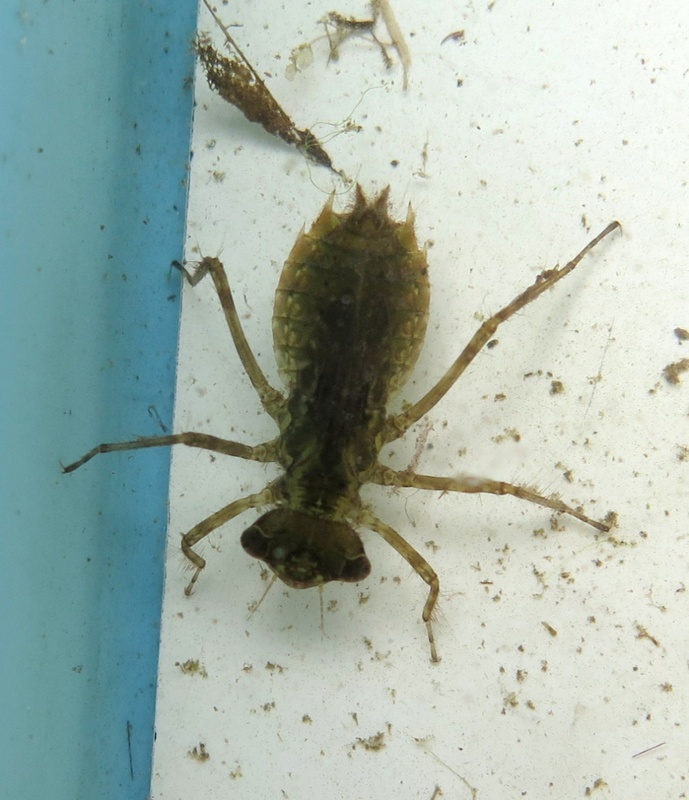 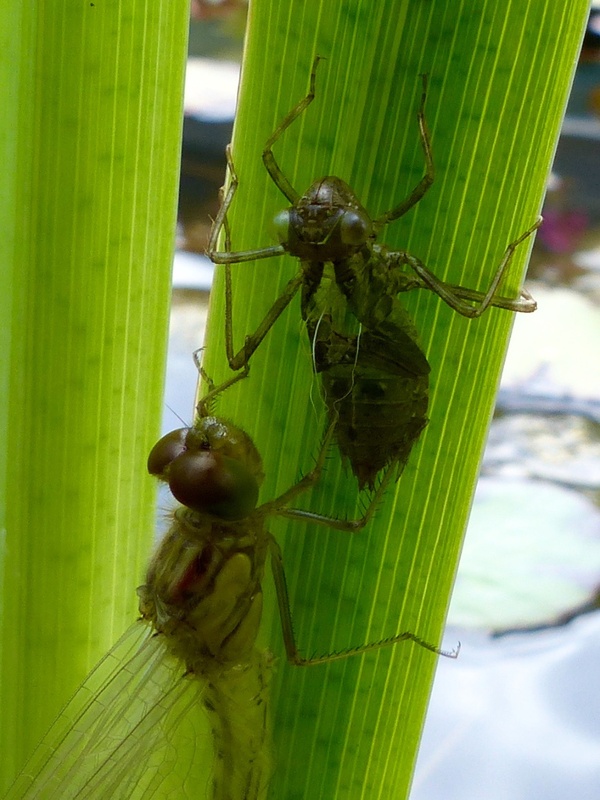 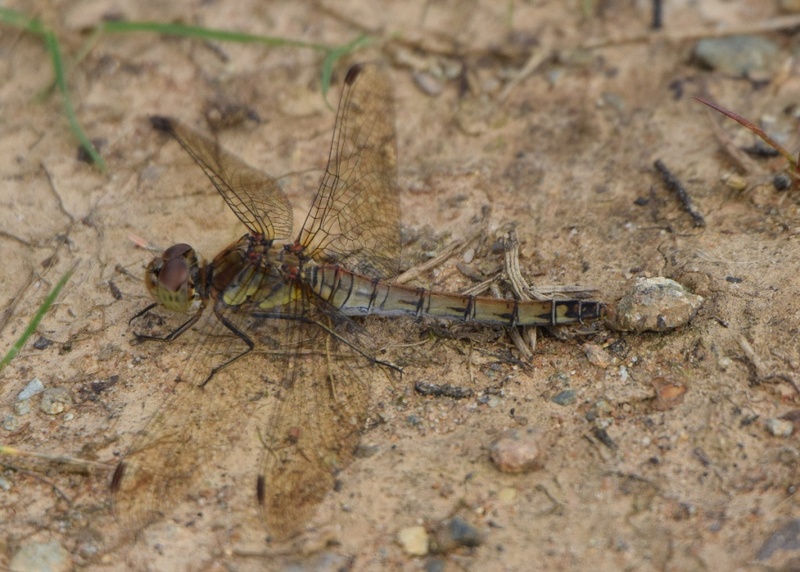 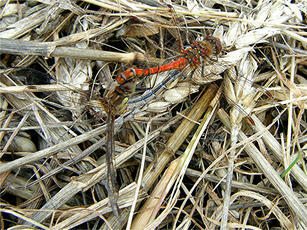 This species is most likely to be confused with the Ruddy Darter, but the male of that species has a 'waisted' abdomen. 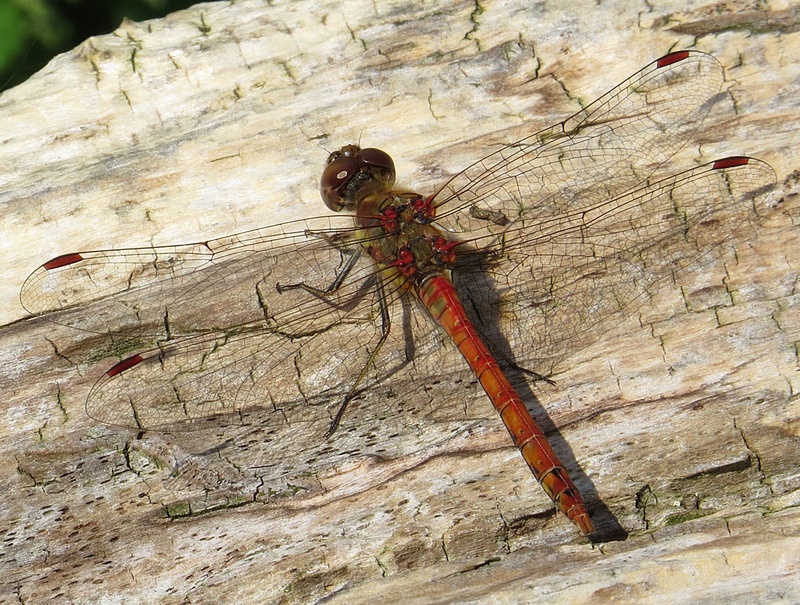 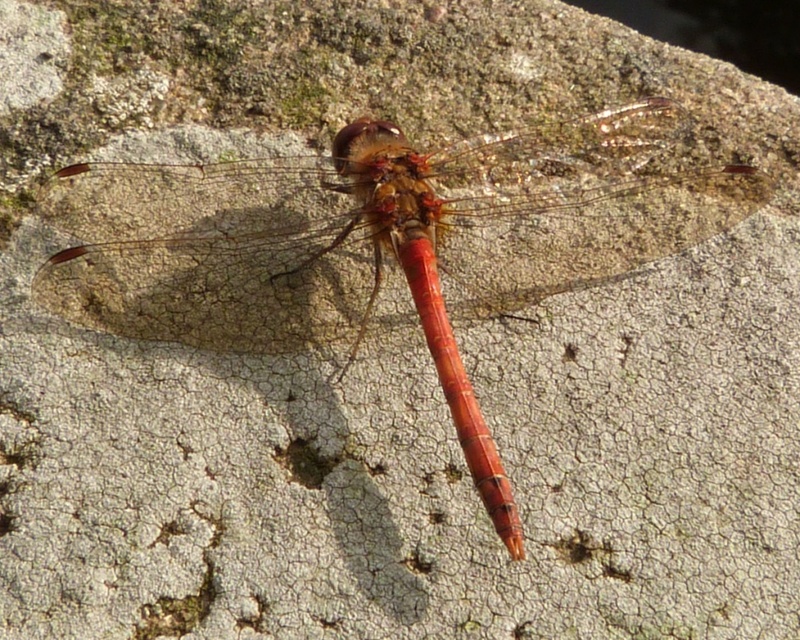 The Ruddy Darter has a 'waisted' abdomen and all black legs (the Common Darter has yellow stripes on the legs). Commonly encountered, even away from water. 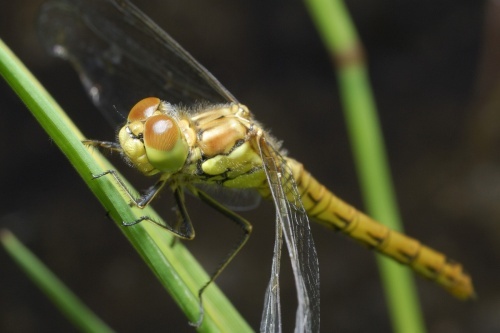 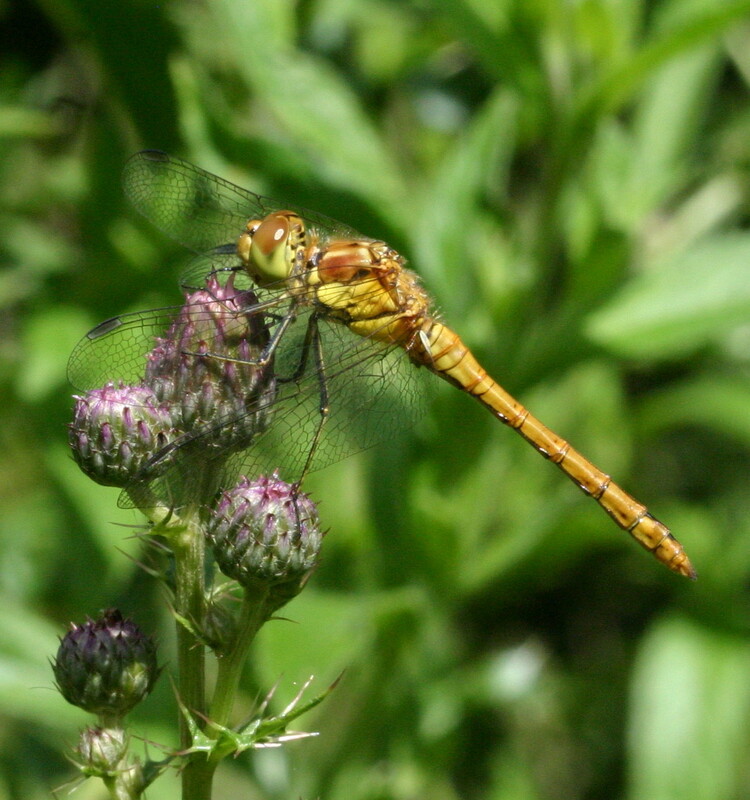 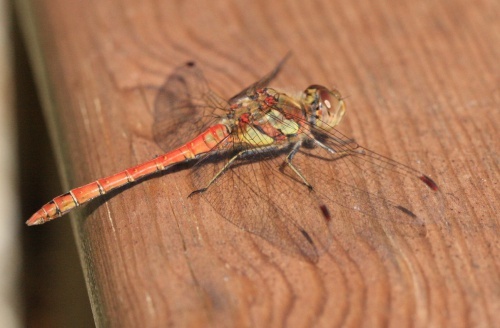 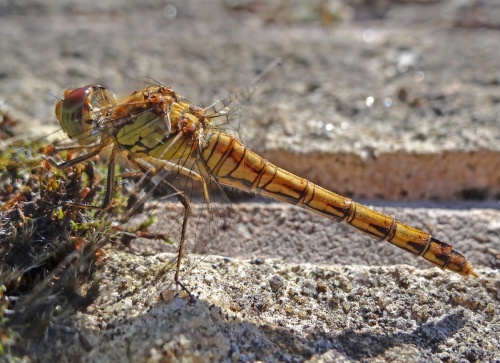 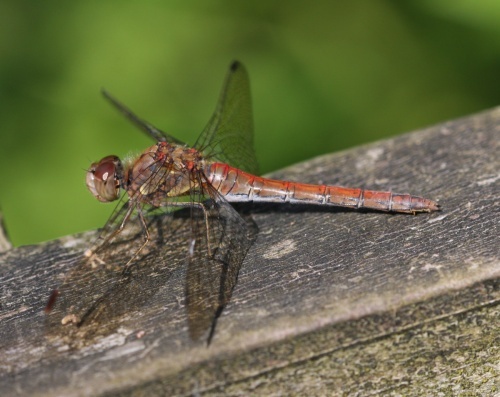 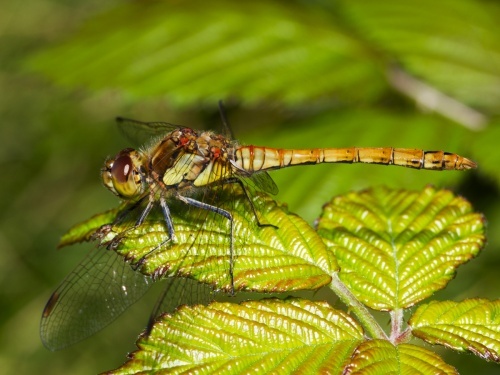 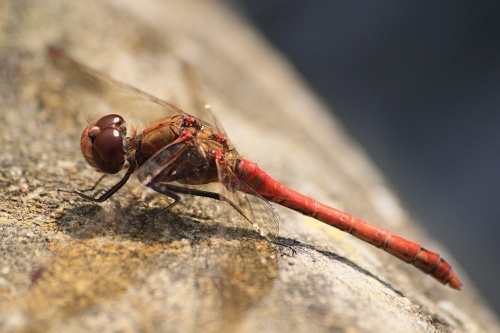 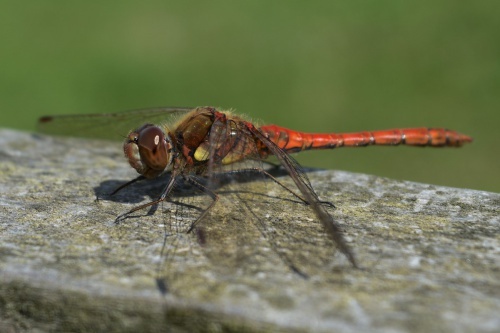 The Common Darter is on the wing from late June and can be seen into November. 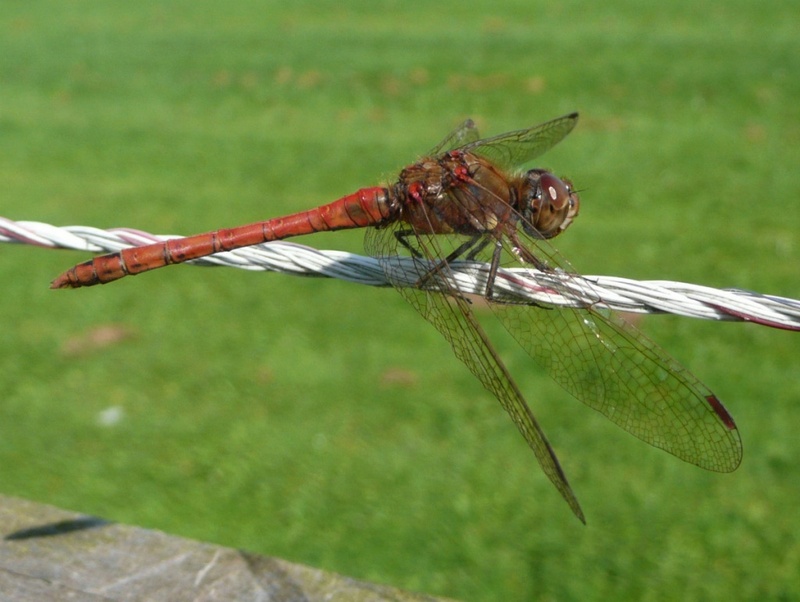 This species like to perch on fences, twigs and wires whilst it searches for passing prey. It is able to remain active in lower temperatures than other species, partly by seeking out sunny spots to warm up in. 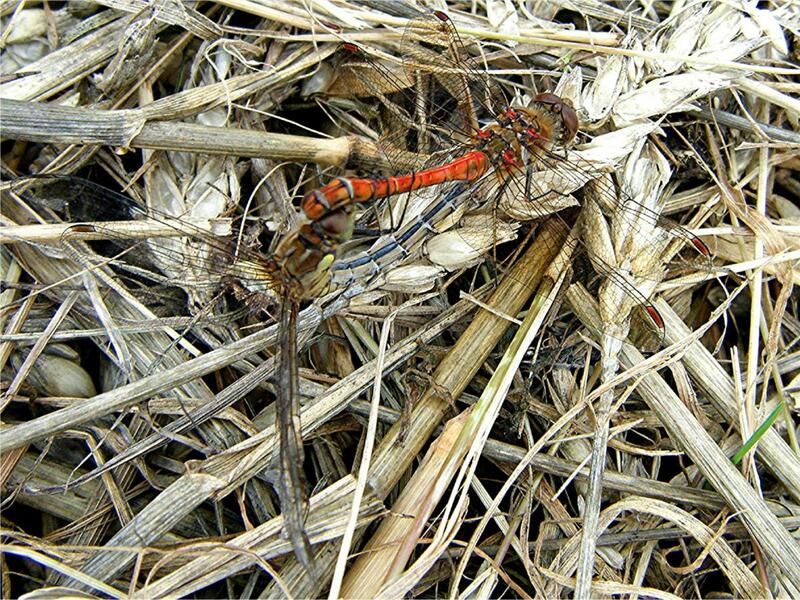 Common and widespread in England and Wales becoming a little scarcer further north. 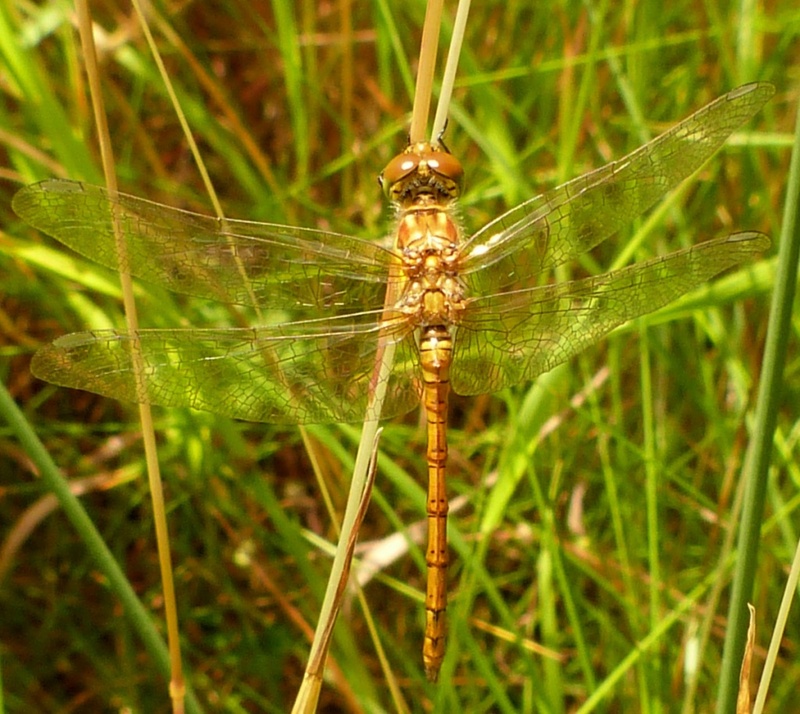 It is an abundant and widely distributed species in Leicestershire and Rutland. 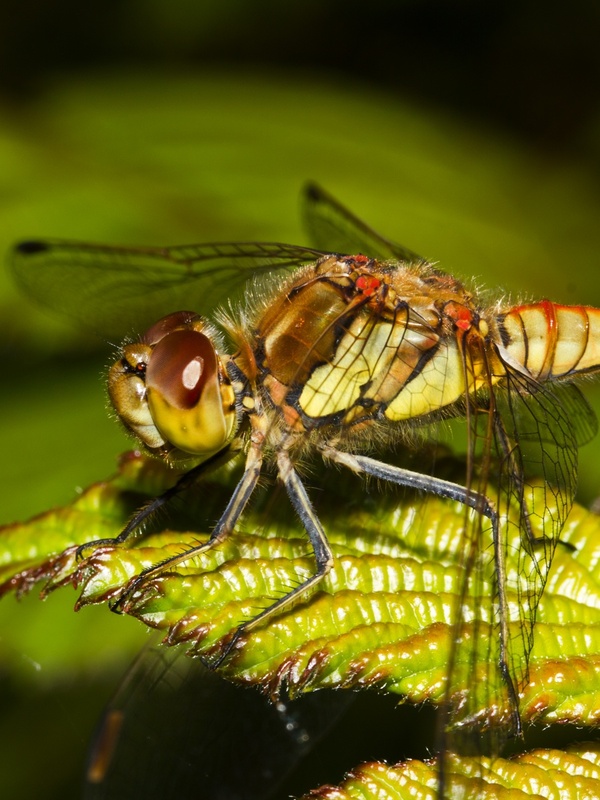 The Common Darter is an abundant and widely distributed species in VC 55, being tolerant of many different habitat types. It is also a very dispersive species and is regularly encountered far from water. Historic records show that such abundance has always been the case, with Roebuck (1932) describing the Common Darter as 'very common and widely distributed'.